It’s no secret that many complex moving parts live within a company’s IT department. It can often be difficult for business leaders to track the overall effectiveness of an IT solution. It’s easy to get lost in the buzzwords and technical specs. These six KPIs can help executives see the big picture, diagnose problems, and quickly determine whether or not an IT solution is delivering. For the purpose of this article, the term “IT solution” refers to internal IT staff, outsourced IT management, or a combination of the two. Measuring the responsiveness of your IT solution is the first step to seeing how well your department operates overall. When you or your employees need help with an IT issue, it is imperative that your department is responsive and able to get things back on track in a reasonable time. After all, it’s very difficult to hit company goals when you’re bogged down with a computer or network issues. Does your company have a system in place for collecting and resolving IT support tickets? Establishing such a system will allow you to track how long it takes to resolve an issue. With a system in place, your IT department can focus on lowering the amount of time it takes to resolve a single issue. The next step is to track the performance of your IT solution as it relates to support capability. Is your internal staff or outsourced solution capable of providing the support your company needs? With an IT support ticket system in place, you can regularly report on resolution rates. The goal here is to get the number of unresolved support tickets to zero. Inability to resolve every issue that comes to IT is often the symptom of a larger problem. Perhaps the skills aren’t broad enough to tackle complex issues or maybe you don’t have enough people on the team. It’s also important to track the types of issues coming in to identify recurring problems. Dealing with the same issue over and over isn’t normal. Again, it’s a symptom of a larger problem. Armed with data regarding responsiveness and capability, you can ensure that your IT staff is right-sized. Does your organization have enough people with the right skills to keep your operations running efficiently? Take the number of support tickets your company creates each week and the amount of time it takes to resolve each ticket. Align this with the capacity (in hours) of your IT solution to effectively calculate personnel utilization. Regular reporting on this KPI will help your team scale up as your company grows. A company’s IT solution should operate under the premise of “What will we do when a crisis occurs?” and have a backup and recovery plan in place. Does your company have a business continuity or disaster recovery plan? Is it documented? Is it current? Disasters happen. And when it comes to your business data, it doesn’t take much to derail everything, whether it be due to human error, virus, fire, flood, or other natural disasters. It’s best to always be prepared. Your IT solution should establish a plan to backup devices daily, if not hourly. And those backups should be readily accessible so that data is easily restored. You can track this KPI by reporting on the number of devices are not backed up daily on your network that – and this number should be zero. In addition, team members should regularly test the recoverability of backup data. Threats to your company’s data security and integrity are real. Many experts report that small to midsize businesses are often more at risk for cyber attack. Hacking attempts can be thwarted by diligent efforts by your IT department on a daily basis. Proactive measures designed to stop threats before they start. Detection measures to alert your organization of emerging threats. Reactive measures to recover systems and data after a threat emerges. Our final KPI (for today) is IT architecture. The question here is, does the IT architecture in place at your company align with your business goals? Does it address the needs of your company today? What about the future? Your IT solution should be able to present a plan for implementing an IT strategy that keeps short and long-term goals in check. This includes knowing what IT and the company will need when it comes to hardware, software, personnel and training for future growth. Does your IT leadership live up to these key performance indicators? If the answer is no, there’s likely a larger, undiagnosed problem within your IT solution. 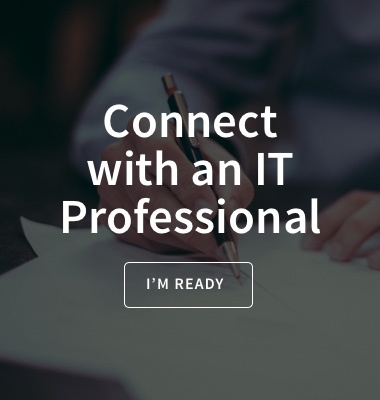 The experts at Mandry Technology can help you take a closer look at your IT with a no-cost, no-obligation IT assessment. Click below to schedule yours today.